When you partner with Taylor Houseman, you work with a team of trained professionals who provide multiple services and cost-effective laundry solutions. In doing so, we provide superior equipment and nurture long-lasting working relationships with clients. At Taylor Houseman, we work hard to build partnerships with our clients and strive to ensure that customer ideas and dreams are realized. As one of the largest full-service distributors in Northern California, we assist with every facet of laundry development and renovation, including design, construction, equipment installation and technical service after the sale. Taylor Houseman also provides unrivaled operational and technical training, vended laundry marketing services, financing and more. Taylor Houseman is committed to the highest standard of quality in the products and support services offered to our industry. To each member of this company we pledge our support in building a professional work environment based on open communication, respect for others and teamwork. To each customer we pledge our commitment to courteous, friendly assistance, highly trained technical support and value priced service. Building on a strong tradition of creativity and innovation, Taylor Houseman will set the standard of excellence for others to follow. 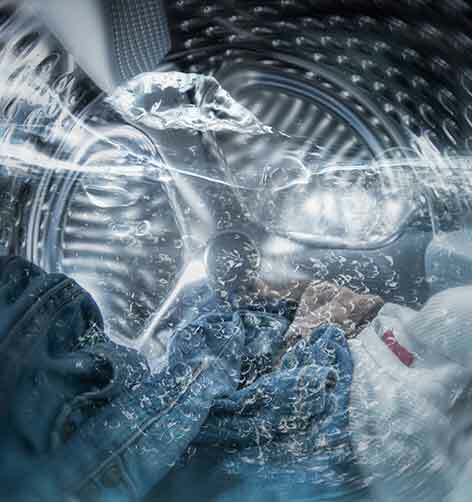 Armed with our vast commercial laundry expertise, Taylor Houseman expanded into the coin laundry segment to offer our clients the most comprehensive services available. We have a strong tradition of innovation and creativity that is carried throughout every aspect of our business – from sales and service to parts and preventative maintenance. Our attention to detail also sets us apart in this fast-paced industry. We get to know our customers and their individual business needs so we can tailor our services accordingly. If you want to talk commercial laundry, we’re here to listen.